Motorcycle industry has been dynamic with innovation all the time as is with the development in Helmets also, but we only see research in this field which makes it safer and lighter. 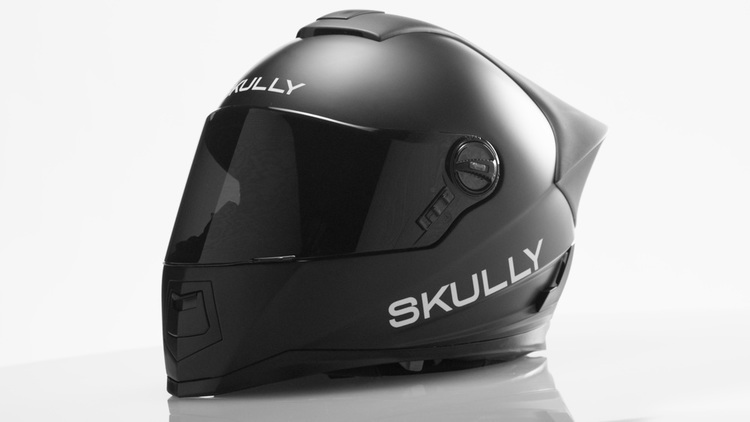 Now Skully, a silicon valley based company started in 2013, which concentrates in intelligent vehicle systems technology, has come up with a revolutionary model Skully AR-1, which they claim it as the first vertically integrated smart Head Up Display Helmet. Skully actually wanted to raise $250000 via crowd funding and they managed to raise four times that amount and counting. The Skully AR-1 is loaded with features, the head up display, rearview camera and GPS navigation to name a few. 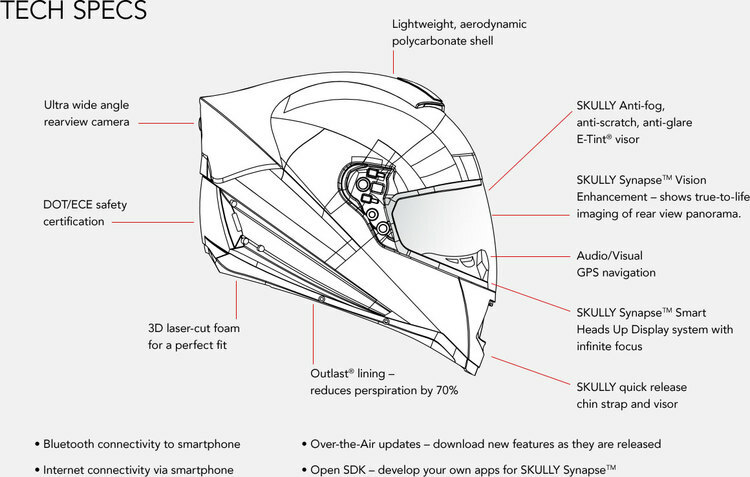 It has Skully’s synapse connected technology platform which enhances awareness of its users by linking advanced optics to an intelligent network of cameras, sensors and microprocessors. The head up display let you focus on the road all the time while looking at the information provided in the transparent display which is placed in a convenient location. 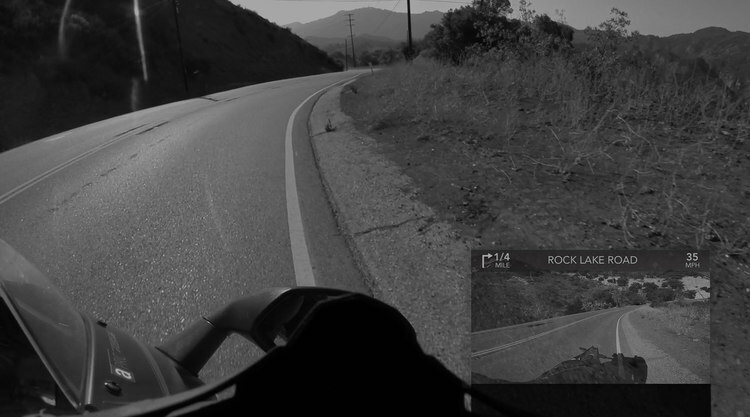 The rider will have a complete awareness of the road he is riding, thanks to ultra wide angle rear view camera, GPS navigation and the high speed microprocessor which connect all these sensors and cameras. This technologically advanced helmet also covers all safety standards, it is DOT/ECE certified and it has fog, scratch and glare resistant visor and quick release chin strap and visor. It also offers connectivity options like Bluetooth, Internet and Air sync software updates. There are no worries in its built and offers perfect fit too, it comes in all sizes ranging from S to XXL. We can interchange the padding insert and the helmet has a lightweight and aerodynamic shell design. The helmet comes in two colors, matte black and glossy white. Yes there is voice recognition too, which accepts voice commands along with intelligent audio. We can also do hands free calling and stream music. 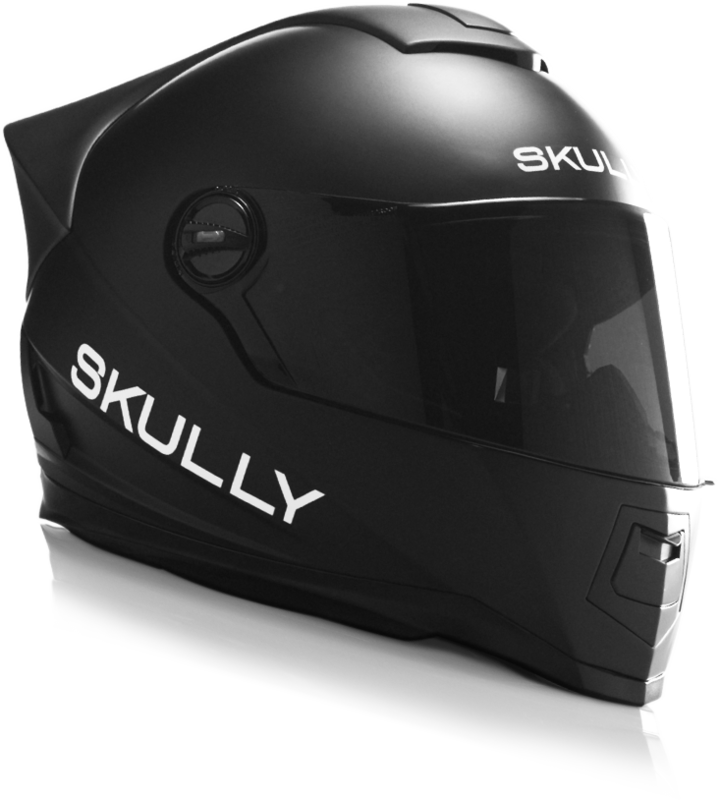 The prebooking of the Skully AR-1 started and is priced from $1299 to $2649, you can also get their original prototype for $25000.The price is discounted for those who prebook. Even though they launched the product this month the shipping only starts by May 2015. The technology seems good and handy and all credits to its engineers, but it is priced very high. It is expected from the developers to come up with budget models or to reduce the price of the current one as the demand and production increases. “ECHOING” YOUR NEEDS; ‘AMAZON ECHO’ UNVEILED FOR $199.